The World Series may be over but there are still some undecided races in Major League Baseball this year. I'm talking about the end of season awards. Yes, it's that time of year as the hardware will be announced this week starting on Monday. 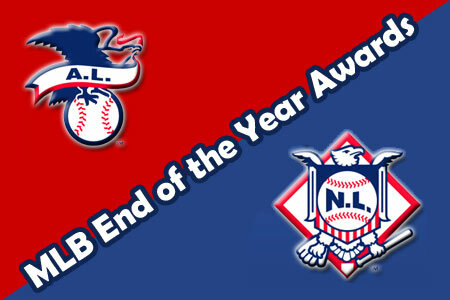 The finalists for Rookie of the Year, Manager of the Year, Cy Young and MVP were announced earlier in the week. If I were a member of the BBWAA (Baseball Writers Association of America) my vote would count. But I'm not. And it doesn't. Even so here is how I would vote if I had the privilege. Well, we're starting out easy here. No disrespect to Betances or Shoemaker but the clear choice here is Abreu. He was in the top five in the AL in batting average, on-base percentage, total bases, home runs, RBI and led the league in slugging. Those numbers should put him in the top-10 in MVP voting and should easily be enough to run away with the ROY. Betances had an absurd 135/24 K/BB ratio in 90 innings but it won't be enough to overtake Abreu. Remember kids, chicks dig the long ball. And so do BBWAA voters. The Mets have quite a few touted young arms coming up in the system lately with Matt Harvey, Zack Wheeler and Noah Syndergaard but there wasn't much hype around DeGrom. He won nine games on a surprisingly competitive Mets squad while posting a 2.69 ERA and 144/43 strikeout to walk ratio. He even tied an MLB record by striking out the first eight batters in a game. DeGrom isn't as much of a runaway as his counterpart Abreu in the AL but the NL rookie class is much thinner. 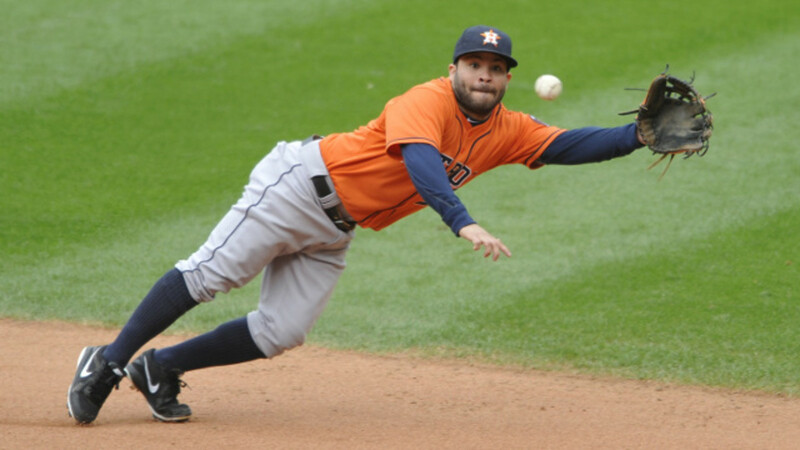 Hamilton stole 56 bases but was caught a whopping 23 times which led all of baseball. He and Wong also posted an identical .292 OBP which left a lot to be desired. DeGrom is my choice in the NL. To me this is essentially a two horse race. Sorry Scoiscia but you aren't in this one. Showalter led Baltimore to its first division crown since 1997 and did so comfortably taking the East with by 12 games. Yost led the Royals to the postseason for the first time since 1985 ending a 29-year drought which was the longest in the four major North American sports. Voting concludes after the regular season or else Yost would win this in a landslide. While it will be close my vote still goes to Yost for ending a nearly three-decade long stretch of futility in Kansas City. Two teams won the Wild Card. One had the best record in the league. Again if the voting ended after the playoffs it would have to be Bochy. Who else could it be from this group? In fact, I think he gets my vote anyway. The Giants had to overcome a slew of injuries to key players such as Matt Cain and Brandon Belt. They didn't settle on a second baseman until halfway through the year. They had to deal with the high payroll Los Angeles Dodgers and did just enough to make it to the postseason. Williams probably had the best roster and Hurdle didn't shock the world as Pittsburgh made the postseason last year. I'm giving it to Bochy but this one is completely up in the air. Let me start this off by stating that I am a huge Chris Sale fan. That said, Sale can be eliminated simply because he doesn't have nearly the same workload as the other two here. Sale pitched 174 innings while Hernandez and Kluber were both over 235. As much as I love Sale I can't ignore that. So it's Kluber and Hernandez. They finished in the top five in nearly every major pitching category and it's as big a coin flip as there is in all of the awards. I won't be upset by the choice and I honestly don't know how to make one. Kluber may get some votes because he came out of nowhere. Hernandez may get some based on his reputation. If I had to choose, and I do since that is what this column is about, I'd go with Kluber. Barely. Here are the lists that Kershaw tops in the National League: WAR for pitchers, WAR for all position players, ERA, wins, WHIP, strikeouts per 9 innings, complete games, strikeouts/walks, adjusted ERA+, FIP, adjusted pitcher wins, adjusted pitcher runs, base-out runs saved, WPA, situational wins saved and situational runs saved. I rest my case for Kershaw. Any other year it may have gone to Cueto but Kershaw is just that damn good. Miguel Cabrera can't take it away from Mike Trout this year. Trout, who finished runner-up to Cabrera the last two years is poised to win his first MVP award in just his third season. He led the AL in WAR, runs and RBI while helping the Angels to the best record in baseball. The young star also plays stellar defense and should be a runaway here. Martinez put on a tremendous power display just in time to hit free agency and Brantley had an all-around terrific season without much publicity in Cleveland. Either way they are both chasing Trout here and I'd be shocked if either of them caught him. All three missed time this year and all three have a strong case to bring it home but my vote goes to Kershaw. I expect him to take home the Cy Young and MVP a la Justin Verlander three years ago. Here's why. Kershaw in 2014 ~ 21 wins, 1.77 ERA, 0.86 WHIP which all led the league. Oh, and his 239 strikeouts were three behind Cueto and Stephen Strasburg for the league lead. Some people don't believe a pitcher should win the MVP. I don't see any way how he wasn't the most valuable player in the National League this year and that's why he gets my vote.